2014 Versions of River Journey! The Sheri Griffith River Expeditions E-Newsletter! Since 1971, Sheri Griffith River Expeditions has been the premier whitewater rafting outfitter in Moab, Utah. 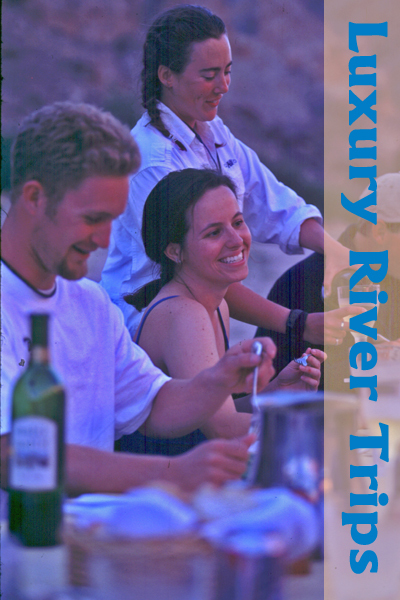 We offer "A Touch of Class" on all of our Colorado River, Green River and Yampa River rafting trips. Along with stimulation for fantasizing about your next adventure, the River Journeys E-Newsletter features monthly information about Moab, the River and our family of guides, guests and staff. We also try to keep you up to date on all the latest and greatest SGRE adventures, news, special events, giveaways and discounts on trips! Feb 2014: Yampa River Family!